Danai Giannelli lives in Athens Greece, where she also grew up & she had a strong love for art and aesthetics from the early days of her life. 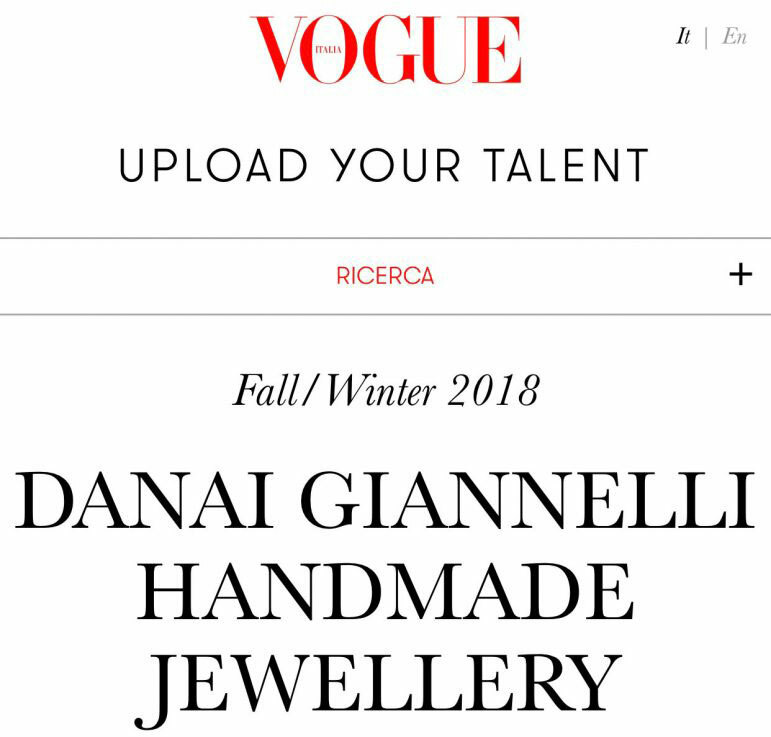 Τhe design and creation of handmade jewelry was the way she discovered, to express and “give life” to her own special view on beauty and its connection with wearable objects. The two materials she mostly uses are gold and silver, alone or combined with precious, semi-precious stones, pearls and colored threads, on jewelry made mainly with the Lost Wax technique. Her creations express a passion for diachronic simplicity and effortless luxury, while her inspiration comes from personal stories, symbols, images & shapes of the Greek nature and past eras. The fine & delicate, but at the same time strong form of each piece and its special details, disclose the purity & truth the designer sees in things around her and the unique beauty she finds in “imperfection” and asymmetry. A dreamer, a time traveler, a passionate creator, Danai “breathes” her passion into every piece she designs and even though her collections are conceptually different, they all have her creative “mark” that distinguishes them and gives them a unique identity.